Home / We need to consolidate our primary or secondary data center locations into single location with access to multiple bandwidth options. We need to consolidate our primary or secondary data center locations into single location with access to multiple bandwidth options. Mainstream Technologies’ data center offers multiple carrier options, among which you may bring your own. To learn more about our Data Center features, click here. 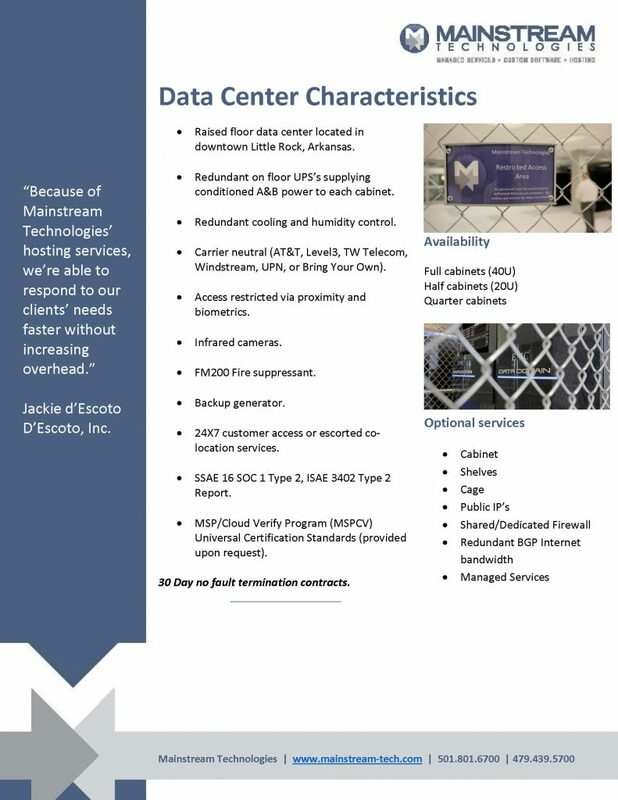 If you’d like more information about our data center give us a call at 800.550.2052 or send us an email.